Pokemon GO was extremely well received when it arrived on the App Store and Google Play Store, and The Pokemon Company followed that up with two more games based on the popular franchise; Pokemon Duel and Pokemon: Magikarp Jump. Now there is a fourth game that has joined the group, and it’s called Pokeland. When playing Pokeland, gamers will collect toy versions of all of their favorite Pokemon and then battle through a number of islands while trying to reach the Champion Tower. 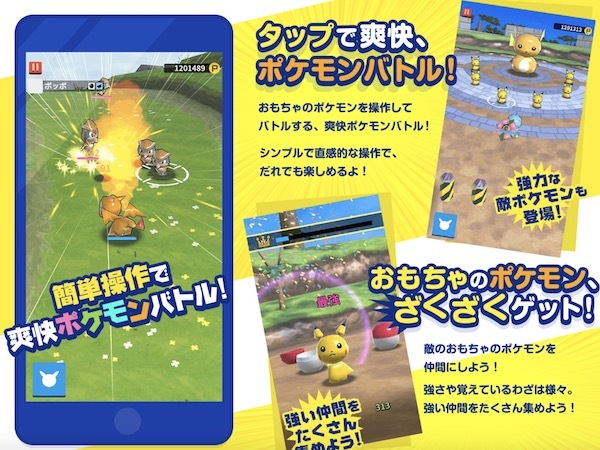 If all of this sounds familiar it is because the game appears to be a mobile version of the Pokemon Rumble series. As tends to be the way right now, Pokeland will require an always-on internet connection and will link in with your Nintendo Account. This has the benefit of allowing all of your Miis to join the game, although there are the obvious downsides associated with a game that requires an internet connection to work. Namely, you won’t be playing Pokeland on a plane or when on underground trains etc. Unless there is WiFi available, of course! Starting today, a portion of Android device owners in Japan will be able to access a limited alpha trial of the game. The alpha version will give them access to six islands, 52 stages and 134 different kinds of Pokemon and those testing the game will be able to climb to the 15th floor of the Champion Tower before the testing phase will stop them from progressing further. That alpha test ends on June 9th, and gamers will not be able to carry their progress over to the final release when it becomes available. There is no concrete word yet on when the international release would happen for both iOS and Android, but we expect it to only be a matter of time.